I’m predisposed to like a larger watch on my wrist, mainly due to the need for size in order to house an automatic movement. 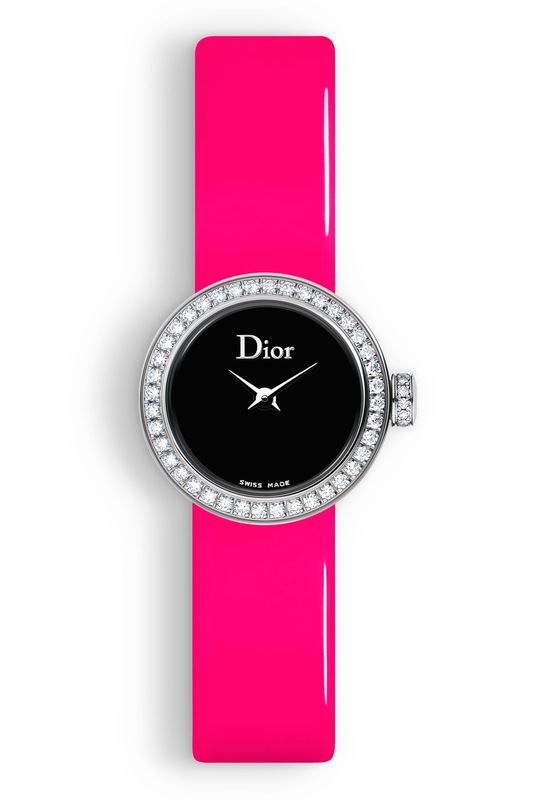 However, La Maison Dior’s bright and energetic collection of La Mini D de Dior watches are one watch that I am happy to make an exception for! 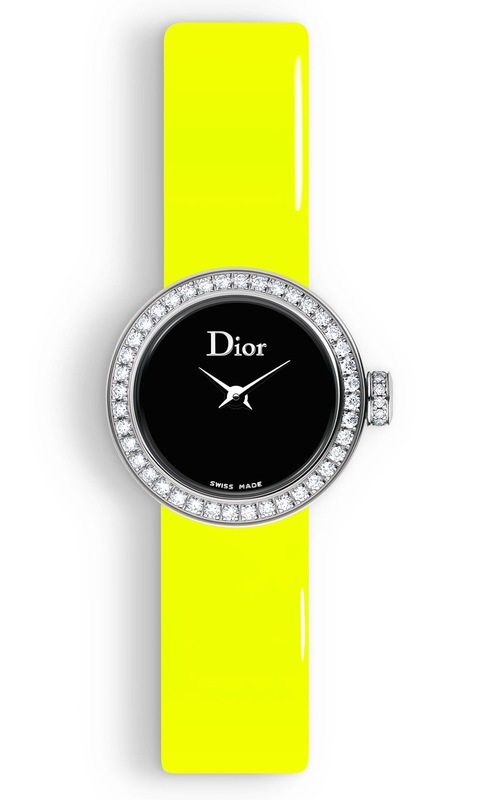 Designed by creative director of Dior Fine Jewellery Victoire de Castellane, the La D de Dior is not a new collection for the brand having first been released in 2003 with the new 19mm mini released in 2009. 2015 Baselworld saw a new range of strap colours for this collection including gradient colours of pink, purple, and blue, along with some ultimate jewellery pieces. Designed in Paris, the movements are Swiss quartz and the pieces are created in the Dior workshops located in the famed La Chaux-de-Fonds, the heart of the Swiss watchmaking industry. If the bright colours are a bit too much for your palette, the three pieces in the mirror collection are much softer with the goatskin leather straps reminiscent of your favourite gold tones. The dials of these La mini D de Dior are a sharp black mother of pearl surrounded by a diamond bezel and if you zoom in on the image, you’ll see an intricate row of diamonds circling the crown. For that hidden touch of luxury, the strap is fastened with a diamond pin buckle. 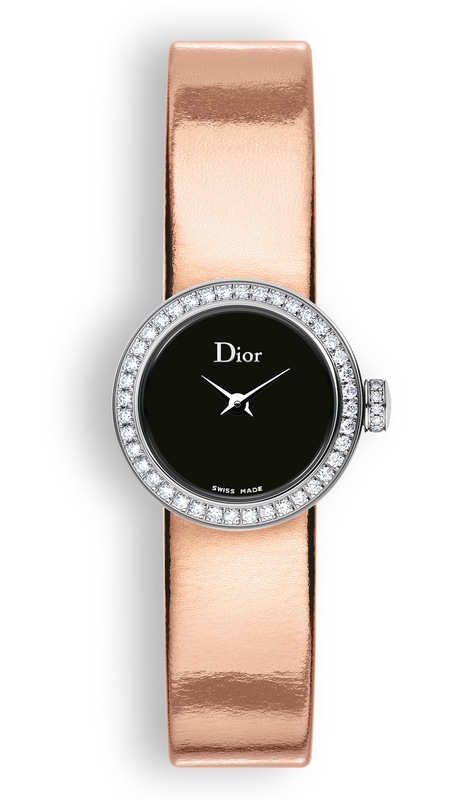 Whilst the La Mini D de Dior case size is just 19mm, the classic La D de Dior collection has a lean range in both the 25mm and 38mm size to choose from, you can view the entire collection here. Whether you wear yours with a cocktail dress or to sharpen up your work attire, these coctail size pieces make a statement on your wrist that should not be ignored. Your Australian Dior Boutiques are located in Sydney and Melbourne. 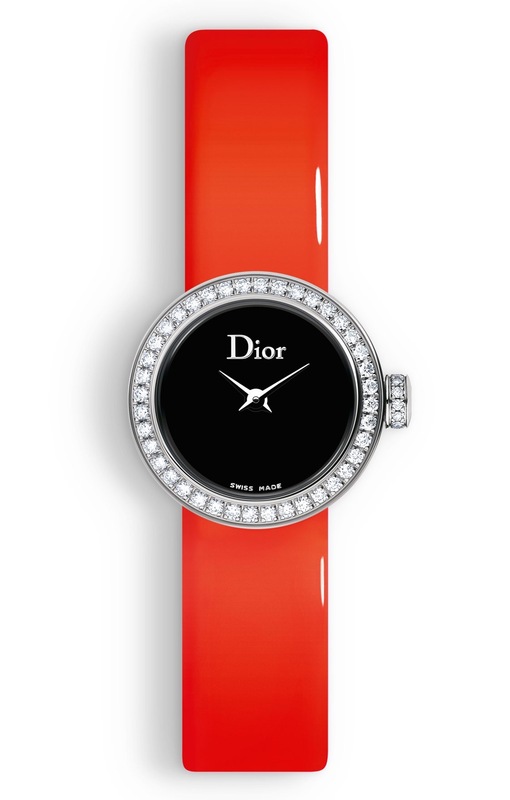 For Australian stockists of Dior timepieces, visit your closest Watches of Switzerland boutique. 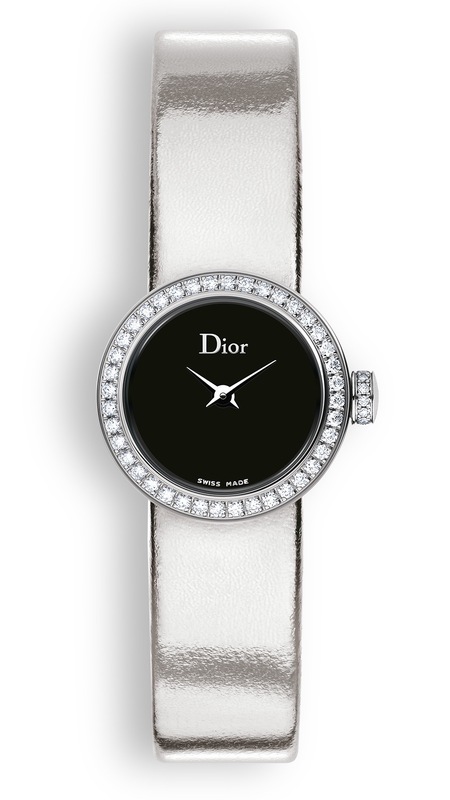 For New Zealand stockists of Dior timepieces, visit your closest Partridge Jewellers.